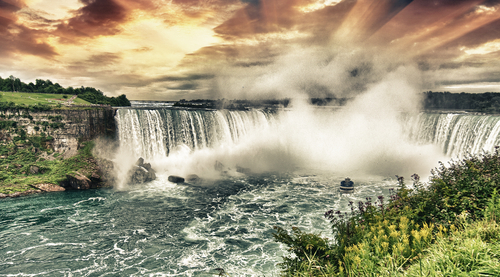 Departing early morning to the world renowned Niagara Falls via Downtown Toronto. 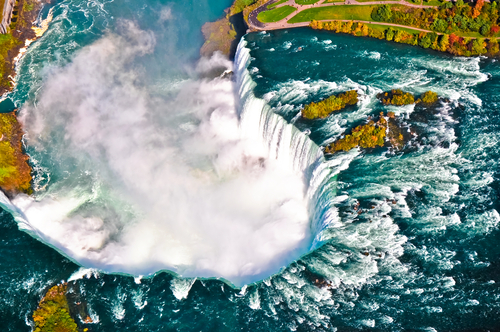 Upon arrival, begin your Falls experience with an IMAX movie - Niagara: Miracles, Myths & Magic, to learn about the shocking and exiting history of Niagara Falls. 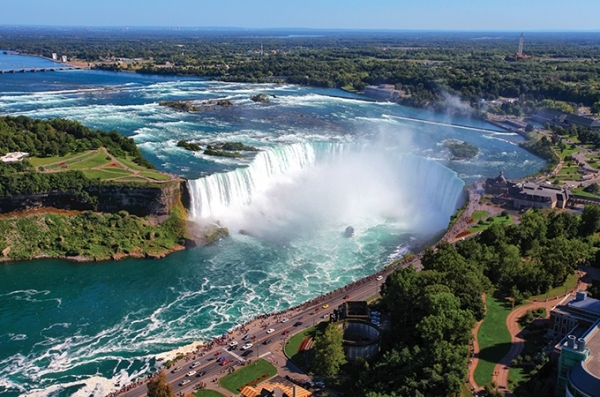 You will then go up the Skylon Tower for a panoramic view of the magnificent Horseshoe Falls, the American Falls and the Bridal Veil Falls. After lunch, visiting the World’s Largest Free-Flying Indoor Aviary, Bird Kingdom. Discover hundreds of tropical birds as you explore the pathways throughout the multi-level rainforest. Explore the ruins of the Night Jungle that is home to curious owls, bats and fascinating creatures. 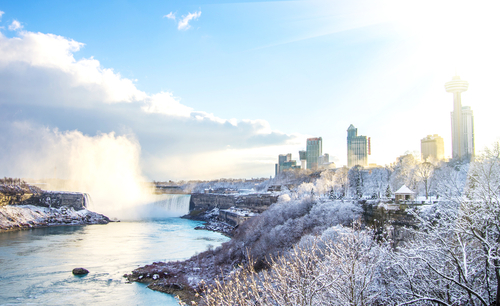 Pay a visit to the Niagara wine region for a taste of our world famous icewine before heading back to Toronto.